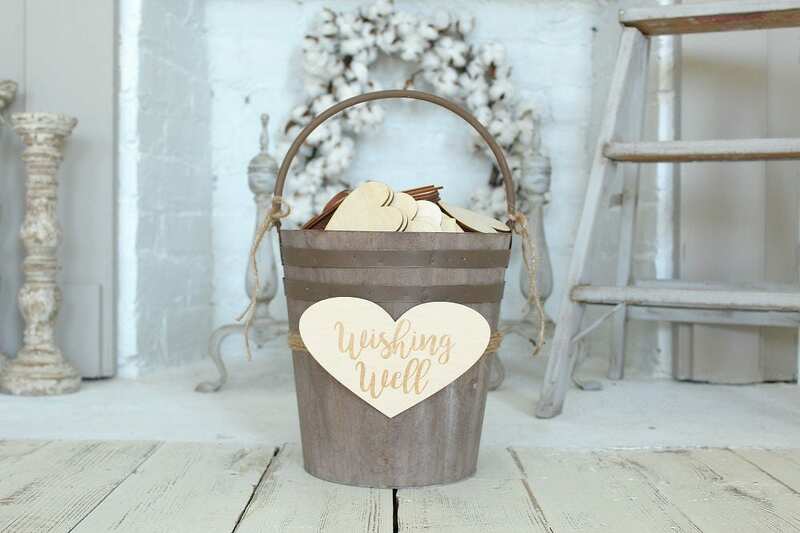 We are so excited to introduce our new 'Wishing Well' Bucket.! 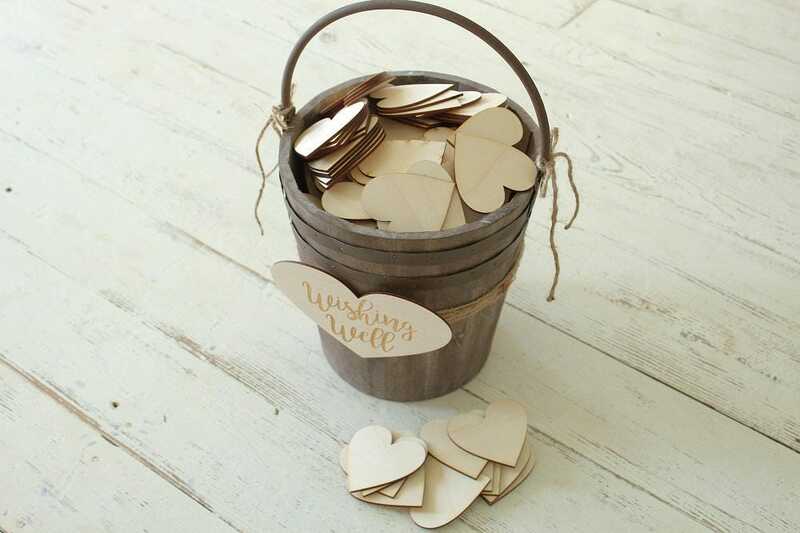 The heart on the bucket is completely customizable for your occasion. 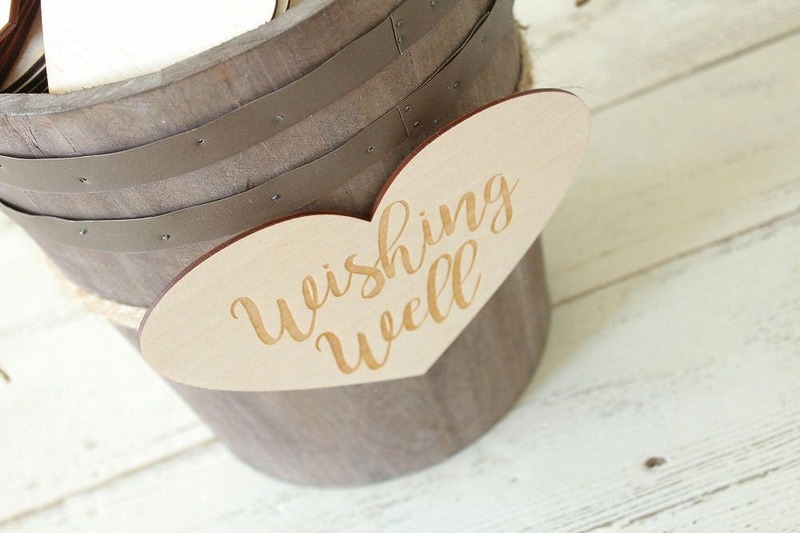 We can engrave anything you'd like onto the heart, it does not have to read 'Wishing Well' You can contact us with what you would like engraved OR you can leave what you would engraved on the heart in the notes to seller box upon checkout. 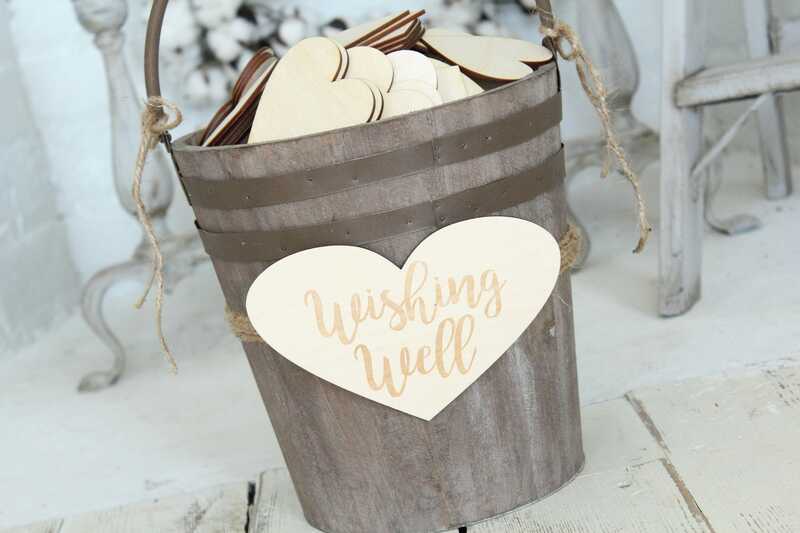 ♥ A rustic Wood Pail with a metal handle and jute twine embellishing. 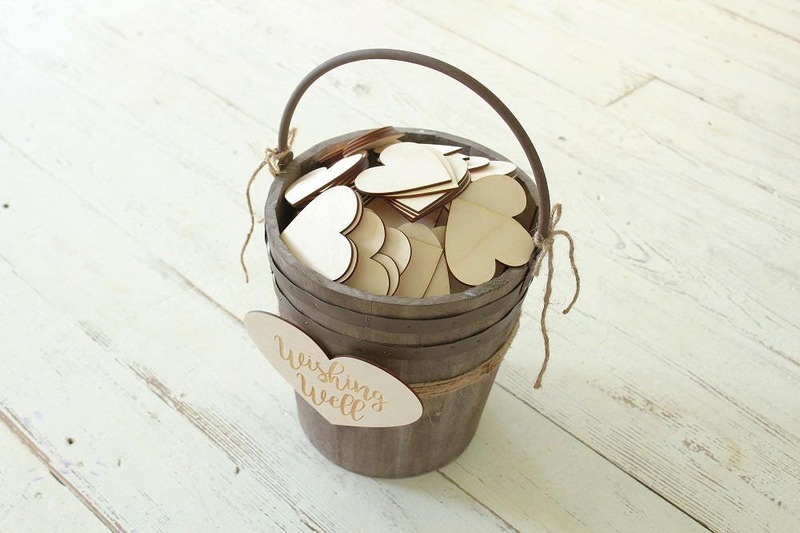 ♥ The bucket will hold up to (200) 3" wood hearts. You can select the amount of hearts you would like added with your bucket in the style drop down menu. It's gorgeous ! Will be perfect in lieu of a guestbook at our wedding!